UPDATE! 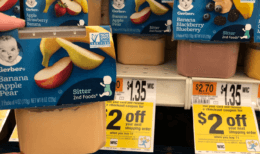 Ice Cream Instant Savings- Klondike as low as $0.50 Triple Dip at Stop & Shop! We told you about this awesome Instant Savings Deal earlier in the week. Please the bottom for the Updated Information on how to Score Klondike Bars as low as $0.50 a box! Woot Woot! So here’s where our UPDATED Klondike Deal is coming in to Triple dip! 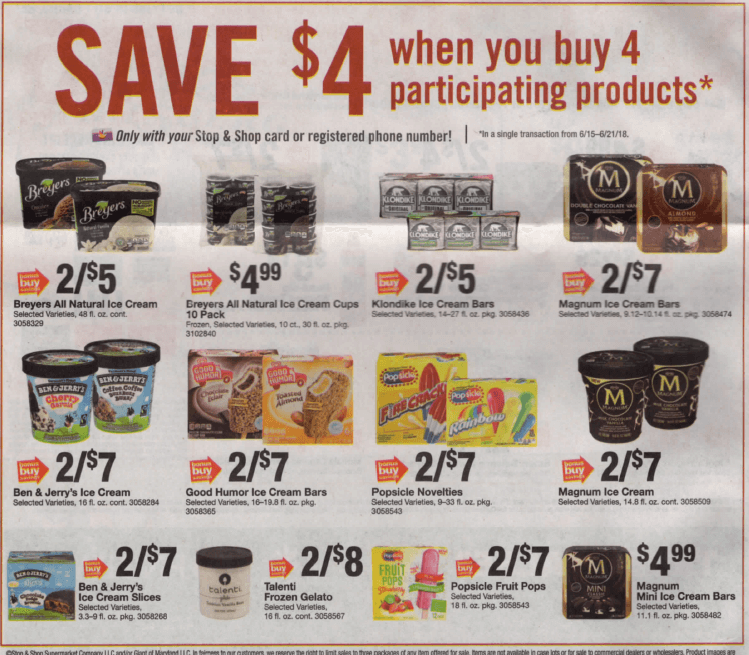 So we can pick up 4 Klondike Bars, receive our $4.00 instant savings and pay $ 6.00, we’ll then receive not 1 but 2 Catalinas for $2 off your next order, making the final cost just $0.50 per box! 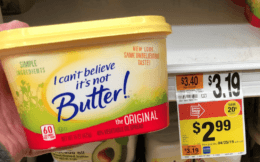 This is deal has been confirmed in our Central NJ store! NOTE: If your Catalinas do not print, the best thing to do is visit the Catalina Marketing site and complete the form provided. 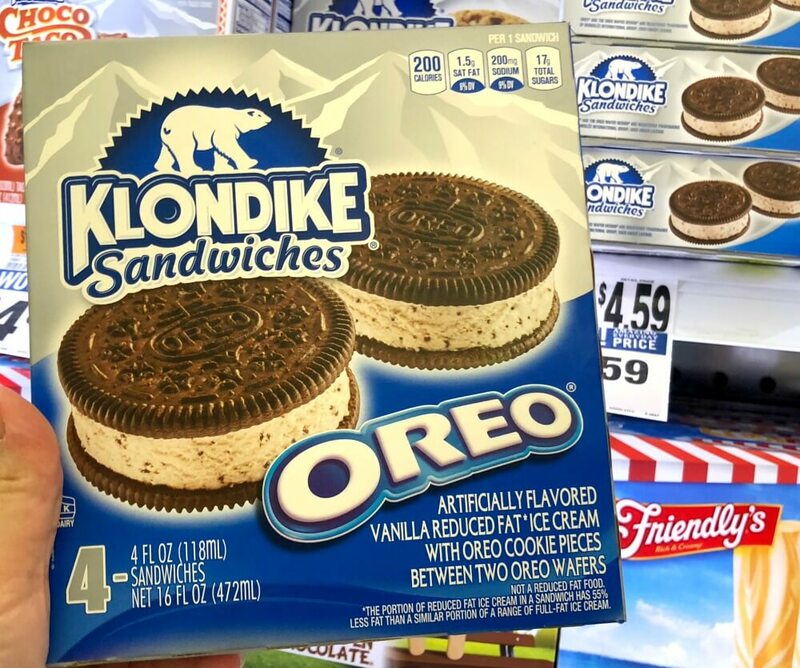 We purchased: 1 Klondike Ice Cream Sandwiches, 1 Klondike Mrs Fields Ice Cream Sandwiches, 2 Klondike Oreo Ice Cream Sandwiches. Giant and Giant/Martin Shoppers we expect this deal to work your stores as well, but we don’t currently have confirmation. Get a $2.00 Catalina from Klondike, Popsicle, and Good Humor!